In my inaugural blog post for The Huffington Post, I take on Washington, D.C.’s Department of Energy & Environment and the agency’s demand that TNR programs in the District “will be revisited and reassessed.” Check it out for yourself here. Who Benefits from NY Gov. Cuomo’s Veto of “TNR Bill”? Setting aside for the moment Cuomo’s (apparently) poor grasp of the relevant science, one wonders: if, as he suggests, spay/neuter services aimed at low-income residents are sufficient to control “feral cat” populations, then why is this issue even a topic of conversation—much less the focus of a controversial piece of legislation? In fact, the purpose of New York’s Animal Population Control Program Fund, as written into law, is to “reduce the population of unwanted and stray dogs and cats thereby reducing incidence of euthanasia and potential threats to public health and safety posed by the large population of these animals.” And when it comes to reducing the “population of unwanted and stray cats,” the best return on investment is, of course, targeted TNR. This bill would have allowed up to 20 percent of the Fund (approximately $1M in total, I’m told) to be used for TNR efforts. That’s the kind of funding that could make a significant difference. No doubt Audubon New York, the New York Sportsmen’s Advisory Council, and PETA—all of whom opposed the bill—are celebrating Cuomo’s veto as a victory. But it’s difficult to see any winners here. As a policy decision, Cuomo’s veto runs counter to science, public opinion and common sense. And his convoluted, contradictory rationale is laughable—or it would be if the stakes weren’t so high. *In a move that’s disgraceful even for PETA, the organization portrayed Assembly Bill 2778 (“a dangerous piece of legislation”) as TNR’s war on the poor, suggesting that TNR funding would hurt low-income pet owners. The definition of insanity, it’s often said, is doing the same thing over and over again and expecting different results. As it happens, this isn’t actually the definition of insanity. And it’s unlikely that the pithy quote actually originates with Albert Einstein, Benjamin Franklin, or Mark Twain, though it’s often attributed to one of the three. Legal and historical quibbles aside, the central point is a valid one: repeating a behavior or action that’s yielded one result in the hopes of achieving a different result… well, it doesn’t make a lot of sense. Twenty-three years. Let that sink in for a moment. In fact, the statistics are probably far worse. In nearby Hillsborough County, for example, Animal Services impounded 10,635 cats in 2012; only about 20 percent made it out the front door. Granted, the human population of Hillsborough is about seven times that of Hernando County, but that doesn’t explain intake numbers 38 times greater. Perhaps “some 280 cats” were brought in via loaned traps. Unfortunately, Hernando County Animal Services doesn’t post such data online (another sign of an agency in need of reform). Whether we’re talking about 280 cats—or, as I suspect, maybe 10 times that many—it’s troubling to see Hernando County continue, for 23 years now, its endorsement of lethal (non) control methods. As Rowden points out, they don’t seem to be accomplishing anything. Maybe it’s not insanity, exactly—but it still doesn’t make any sense. 2. 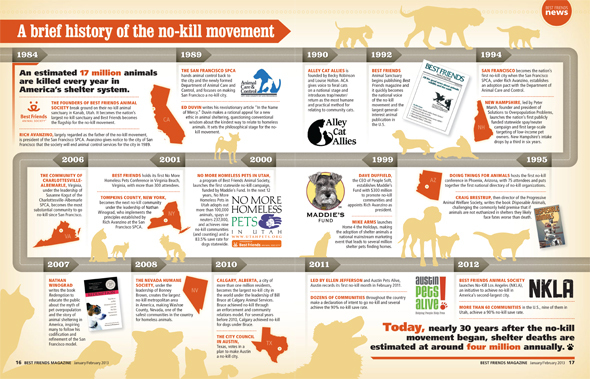 n.a., “A brief history of the no-kill movement.” Best Friends 2013. January/February. p. 16–17. 3. 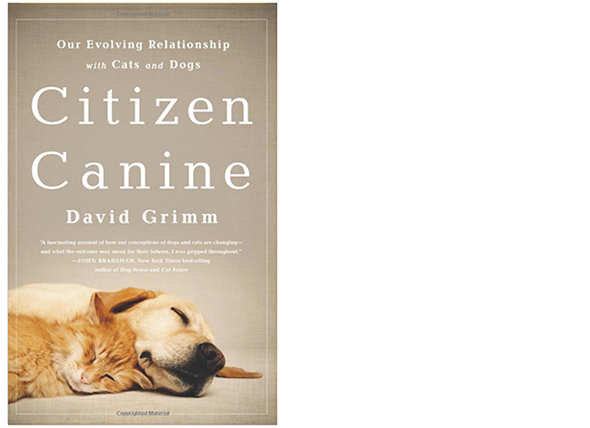 Winograd, N.J., Redemption: The myth of pet overpopulation and the no kill revolution in America. 2007: Almaden Books. Among the “values and objectives that are still revered” by the 85-year-old Florida Veterinary Medical Association is “to further the education of its members.” So why is the organization going out of its way to misinform them about House Bill 1121, “The Community Cat Act”? The bill, authored by Best Friends Animal Society and supported by Alley Cat Allies and the Humane Society of the United States, made it through the House Agriculture and Natural Resources Subcommittee with unanimous approval last week—despite opposition from, among others, Audubon Florida (which was trying to make the most of the Smithsonian/U.S. Fish and Wildlife Service paper before too many people start asking questions). Brighter Days Ahead for the Sunshine State’s Cats? “The only sure way to protect wildlife, cats and people is for domestic cats to be permanently removed from the outdoor environment,” argues American Bird Conservancy president George Fenwick in a Baltimore Sun op-ed published earlier this week. “Evidence” of the slaughter, Fenwick suggests, can be found “in a long line of scientific studies”—among them the Smithsonian/USFWS “killer cat study,” Rick Gerhold and David Jessup’s “Zoonotic Diseases” paper, Peter Marra’s gray catbird study, and Kerry Anne Loyd’s “KittyCam” research. The trouble, of course, is with the quality of Fenwick’s evidence—or in the case of Loyd’s work, how badly it’s been misrepresented by Fenwick and ABC.